Have you always been interested in the beauty industry? 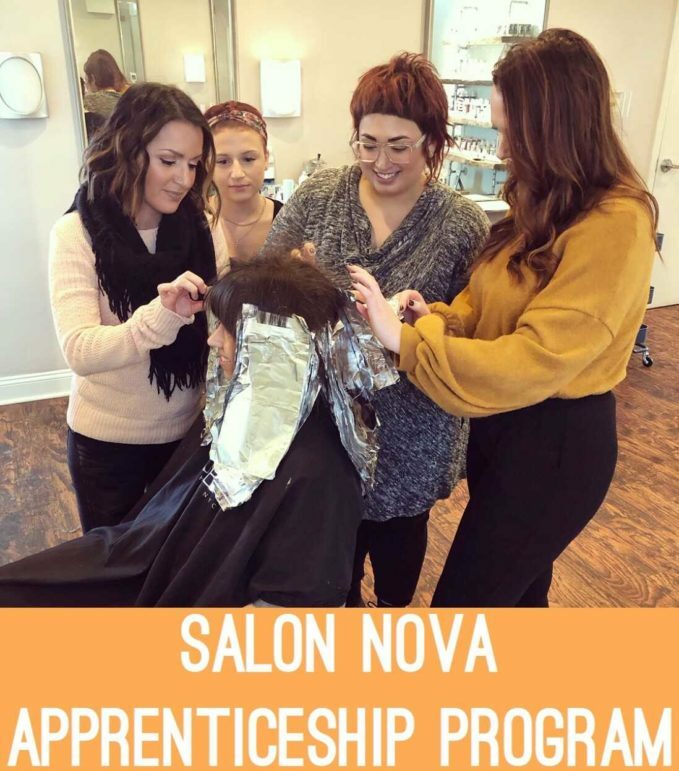 If you LOVE learning & are PASSIONATE about developing a career in Cosmetology, apply for 1 of the 2 available spots in Salon Nova’s upcoming Apprenticeship Program! Our program is more affordable than traditional beauty school & offers flexibility in your schedule. For more information email nova@salonnova.net. If you want to become part of a creative, rewarding & passion filled industry… don’t miss out on this opportunity!